The Hollywood Temp Diaries: Vote Temp X for Variety's "10 Assistants to Watch"
Vote Temp X for Variety's "10 Assistants to Watch"
Below is a letter I've thoughtfully written on your behalf. Just copy and paste it into an email and send it to Jeff - jeff.sneider@variety.com and BCC me at tempx@tempdiaries.com. Actually that's the plan. Just one step - send Jeff a letter trumpeting my importance to Hollywood. Now, as if you needed one, there's an incentive to participate. 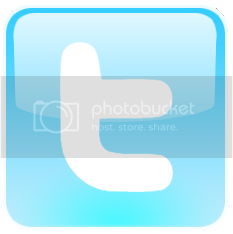 Should I achieve Top 10 status, I will select at random a winning voter from all who nominated me (thus the BCC part). 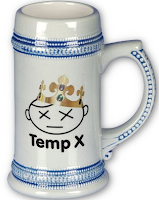 That winner will be rewarded for his/her efforts with a One-of-a-Kind Hollywood Temp Diaries beer stein. 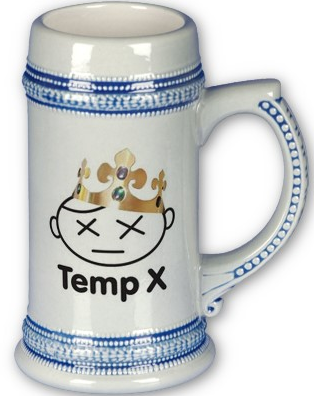 You can then use this mug for whatever one might use a beer stein for. Temp X tells it like it really is in the Hollywood trenches, which is the most comforting thing someone in my position can ask for. 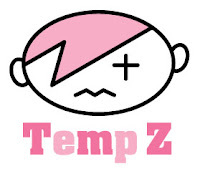 Temp X has helped many people get jobs and many more get interviews by routinely sending out job postings. How can you dislike a guy who does that? Temp X compiles the Brown List of Most-Liked and Least-Liked Hollywood Executives. The Brown List is (sadly) a more valuable document than my college diploma. Temp X was called a "Must-read" by Creative Screenwriting (May/June 2009) and "The definition of meaningless" by Deadline Hollywood. Both of them are compliments and one of them must be right. Temp X makes me laugh with such features as Another Day in Hollywood, Ask Fake Ari Emanuel and Celebs: They're just like us except better looking and dumber. Additionally, The Bennie Awards recognizing the Worst in Television is the best award show ever. Temp X sponsored teams for the Hollywood Assistant Beer Pong Tournament. My employer didn't even do that. Temp X does all of this while temping around town and making less than $20,000 a year. For these reasons and countless more, Temp X deserves inclusion in your 10 Assistants to Watch. P.S. I'm sure he's sorry about the time he posted instructions on bypassing Variety's pay wall. Hopefully you can look past that. how did you afford the beer stein? it is a nice gift. OOOOhhh, low blow from the previous poster. Are you finished trimming your boss' nose hair? Maybe you should vote for yourself? lol.